Keep your work area warm with the Tradesman Outdoor Infrared Quartz Heater from Heat Storm. 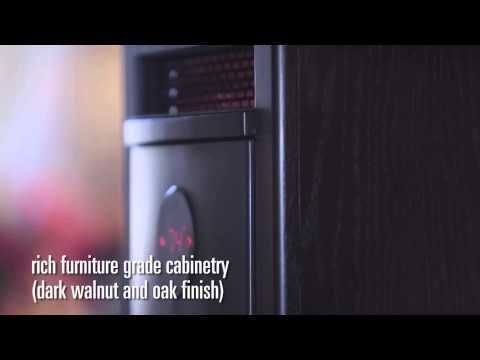 This 1500 watt silent heater has no fans or motors and offers clean, safe and instant heat. Heater features a single infrared quartz bulb, which emits 95 percent less red light. Sealed and resistant to rain, snow and dust making it perfect for your shop, garage, patio or other outdoor areas. Get clean, safe, instant heat with this environmentally friend Heat Storm outdoor model. You can wall mount your Tradesman outdoor heater or use with the optional Heat Storm Tripod Stand or Roll Cage for maximum versatility and portability. The manufacturer warrants this product to be free from manufacturing and material defects for a period of one (1) year from the date of purchase. 324 Sq. Ft. 5 Ft. Diameter 15 Sq. Ft. 30 Sq. Ft. WARNING: This product can expose you to chemicals including Acrylonitrile which is known to the State of California to cause cancer.